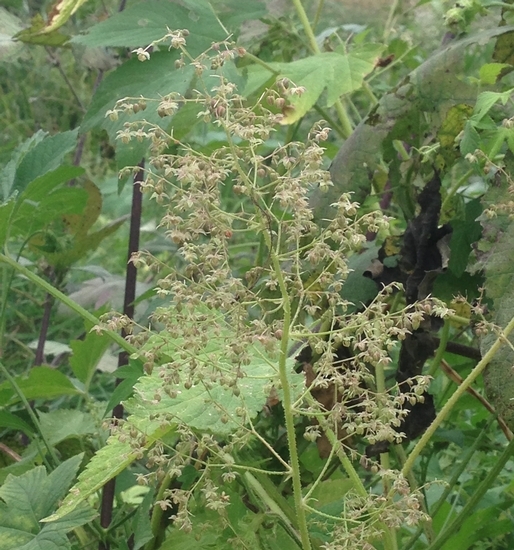 Annual climbing or trailing vine with 5-lobed leaves and stems with prickles. 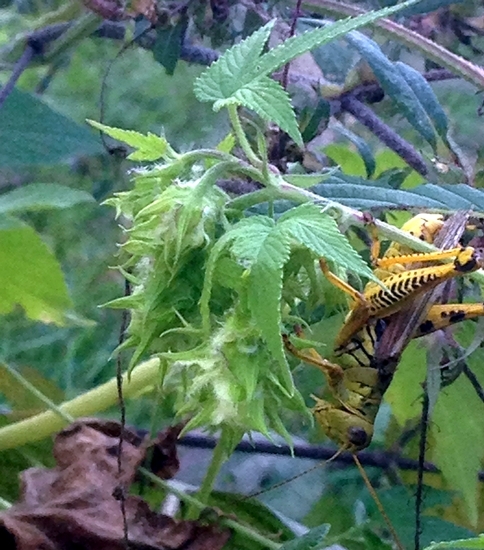 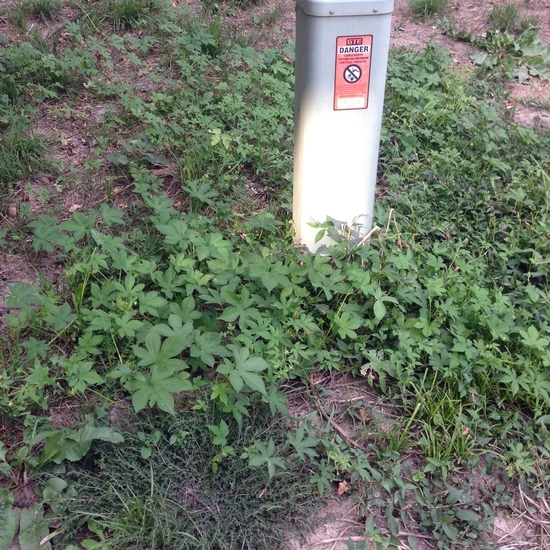 Japanese Hops is primarily a weed of pastures, hayfields, and other noncrop areas that is found throughout Virginia, Tennessee, North Carolina, and West Virginia. 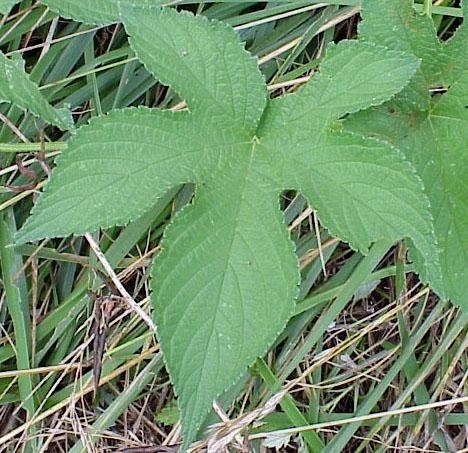 Leaves are approximately 2 to 4 inches long and are divided into 5 distinct lobes. 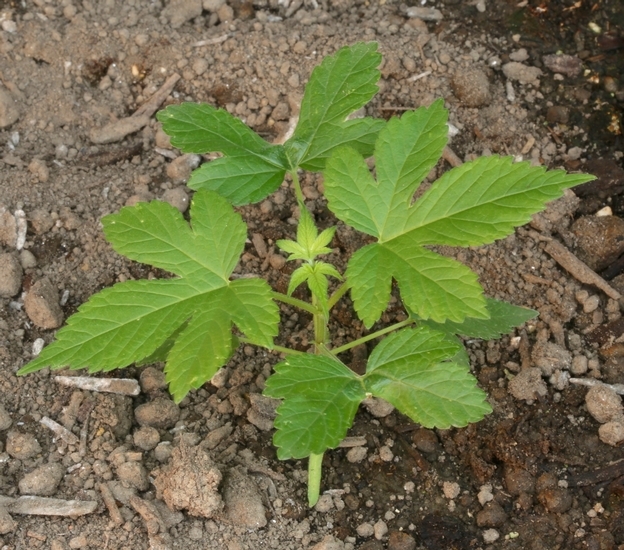 Leaves are rough to the touch and occur on petioles that may reach 8 inches in length. 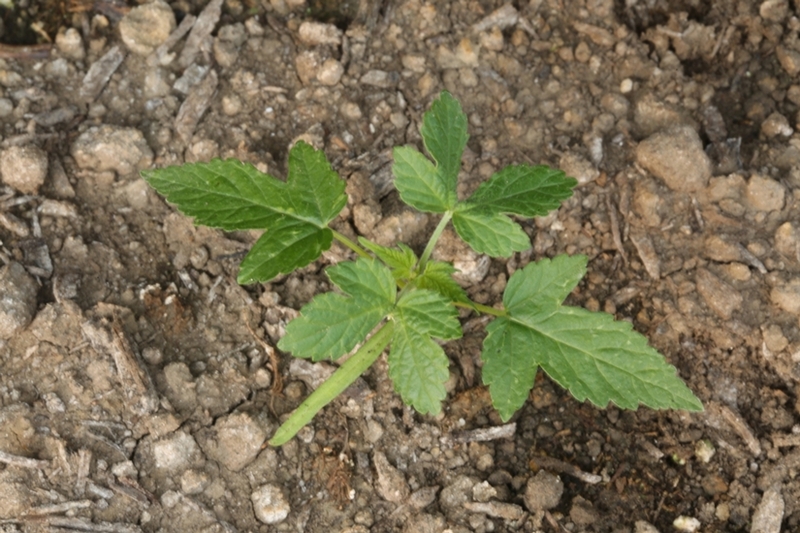 Bracts occur at the base of the leaf petioles. 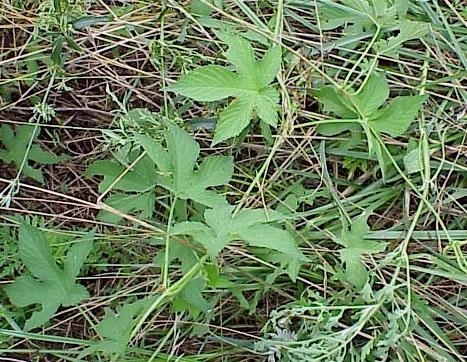 Climbing or trailing along the ground and are covered with small prickles that are turned downward. 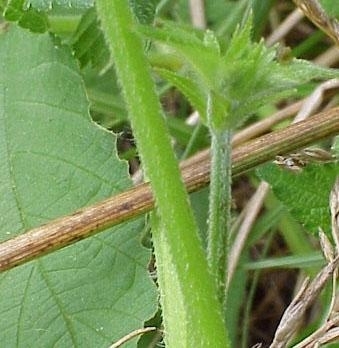 Bracts occur where the leaf petioles attach to the stem. 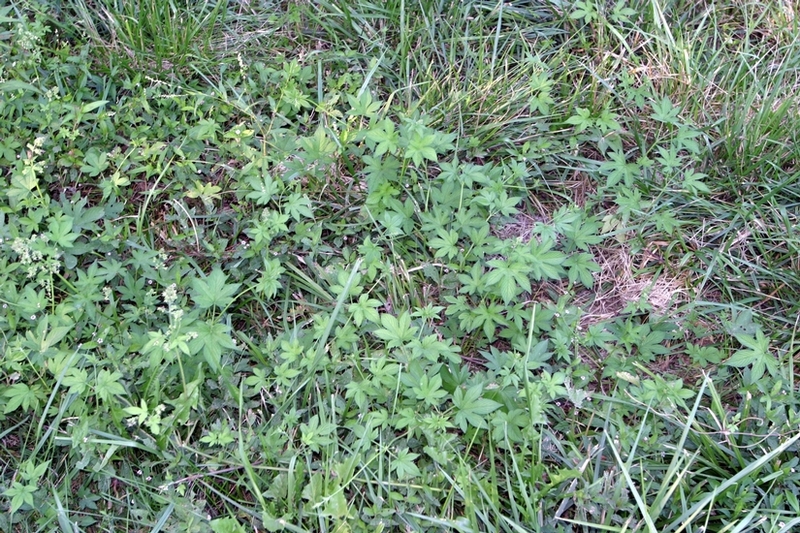 Individual flowers are relatively inconspicuous, without petals, and green in color. 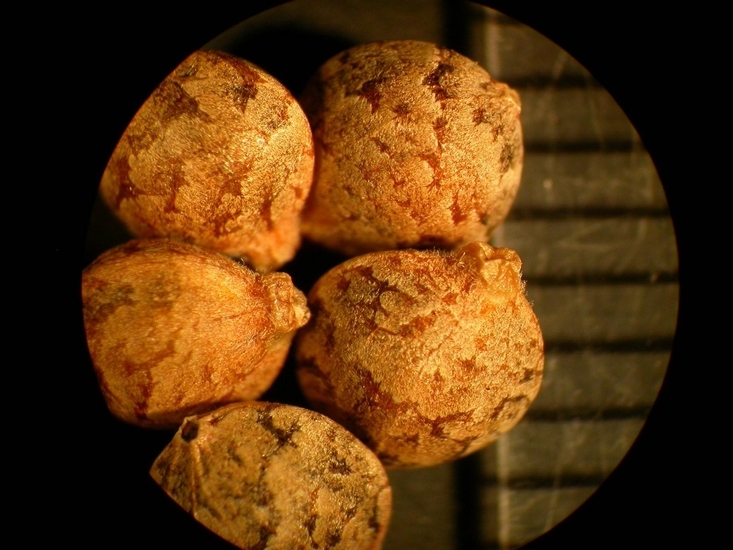 Flowers occur in clusters that may reach 2 1/2 inches in length. 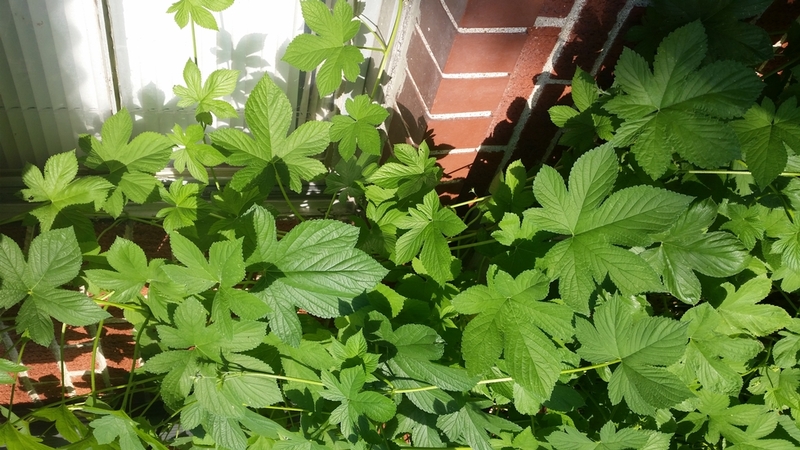 The climbing or trailing growth habit, conspicuously 5-lobed leaves, and stems with downward pointed prickles are all characteristics that help in the identification of Japanese hops. 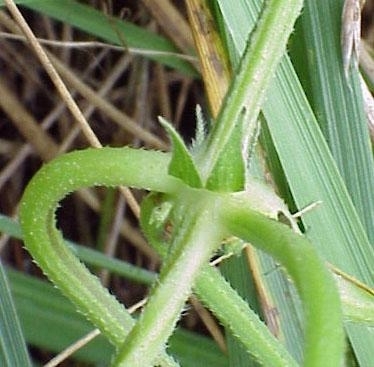 Wild cucumber (Echinocystis lobata) also has 5-lobed leaves and a similar growth habit, however this weed has tendrils and does not have the downward pointing prickles along the stem like Japanese hops.